Restoring an edentulous mandible with a conventional denture can be improved when needed by adding two implants. There is overwhelming evidence that a two-implant supported overdenture is a better choice treatment. In elderly patients, attachment systems that facilitate placement and removal of the prostheses, and those that are readily hygienic, may be useful. 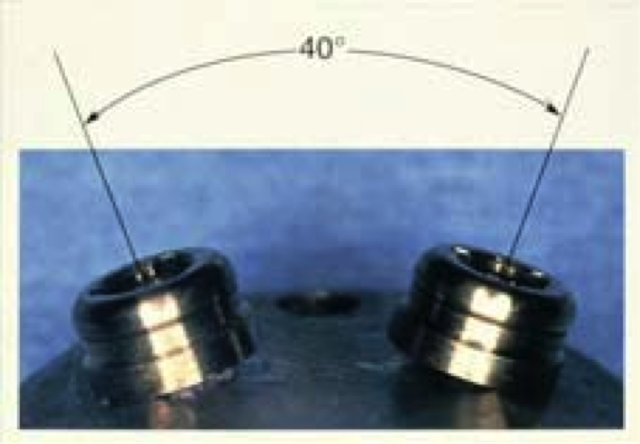 In particular, axial attachments assure a simplification of the techniques of realization, an easier management of complications and a lower cost. 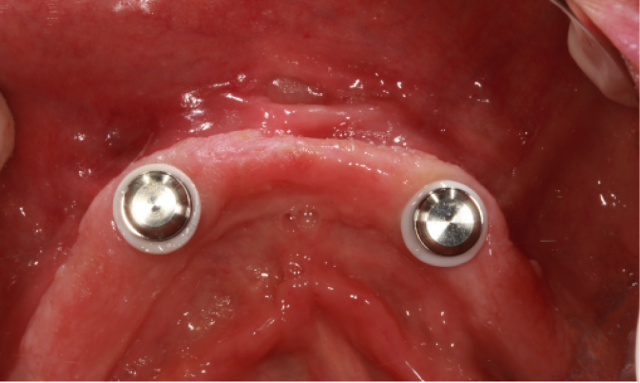 This article describes the characteristics and indications of the Locator attachment (one type of axial attachment) following a step by step procedure. Edentulous patients often experience problems with their conventional dentures resulting from pain during mastication, insufficient stability and retention of the denture1. Studies reported that overdentures have been shown to enhance the quality of life of edentulous patients and contribute significantly to the patients psychological well-being2,3. Other improvements include: a better chewing ability4 , an increased satisfaction with the implant-retained overdenture rather than conventional complete dentures.5,6,7 The overdenture requires limited clinical time and financial expenses1,8. Multiple clinical studies have reported that overdenture prostheses for the edentulous mandible have a good prognosis in terms of implant survival4,9,10. 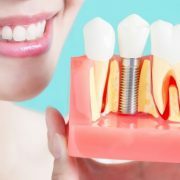 In addition to improving the retention and stability of the denture, it has been suggested that the presence of implants to support an overdenture will preserve the remaining residual bony ridge2,3,11. 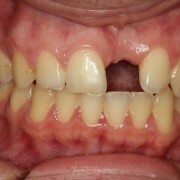 The removable implant-retained overdenture compared to fixed implant prostheses has several advantages: enhanced access for oral hygiene, easy modification of the prosthesis base, provision of a labial flange to improve esthetics in situations of unfavorable jaw relationship and to compensate alveolar bone resorption5. The consensus is that 2 implants splinted by a bar or alone in the interforaminal region of the mandible are sufficient to support an overdenture13,14. The McGill consensus statement suggested that the 2-implant overdenture should be the first choice of treatment for the edentulous mandible10, 15-20. The aim of this paper is to describe in details the various solutions, characteristics, indications, contraindications and techniques of realization of the Locator attachment. A broad systematic search of English dental literature was initiated. Key words or phrases included: overdenture, locator, abutment (patrix), titanium cap, copes of nylon, white block-out spacer. (Peer-reviewed) articles published in English between 1998 and 2012 were identified through a MEDLINE search, a hand search of relevant textbooks and annual publications. Of the retrieved articles 9 spoke about the advantages of the overdenture1,3,5,7,10,15,22,24,33, 10 about the locator4,6,10,12,13,16,17,18,21,25 and 10 about the complications of the Locator attachment system8,9,11,14,19,23,28,29,30,31. Additional references were included to accompany statements of facts2,20,26,27,32. Financial, anatomical, cosmetic, phonetic, hygienic and jaw defects24. The only contraindication for implant supported overdentures is unfavorable morphology24. In elderly patients, attachment systems that permit ease of prosthesis placement and removal, and those that are readily hygienic, may be preferable. The Locator implant attachment system is designed for use with overdentures or partial dentures in whole or in part by endosseous implants in the mandible or maxilla25. The Locator is indicated where there is limited inter-arch space due to his low-profile attachment5. 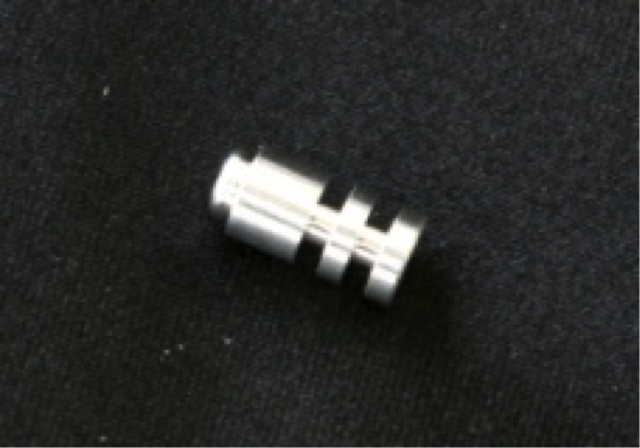 The reduced height of the attachment component provides also easy accommodation for mal-aligned implants5. It is not appropriate where a totally rigid connection is required25. Its use on a single implant with a divergence of axis greater than 20 degrees is not recommended25. 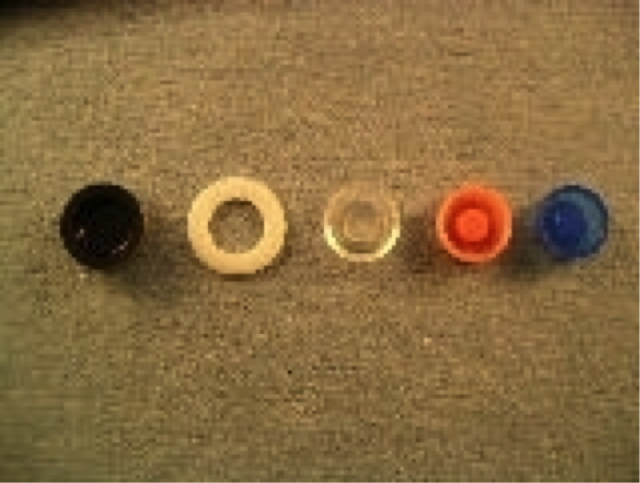 1.8mm from the osseous level to the shoulder of the implant, 1.5 mm for the shortest abutment including the bevel, 3.2 mm for the attachment and processing patrix, and 2 mm of acrylic resin above the attachment6 [Fig. 1]. The minimum horizontal space required is 9.0mm, as the width of the attachment is 5.0mm and 2.0mm of acrylic resin is required on either side for sufficient bulk and strength of the material6. and Standard Plus Straumann implants. 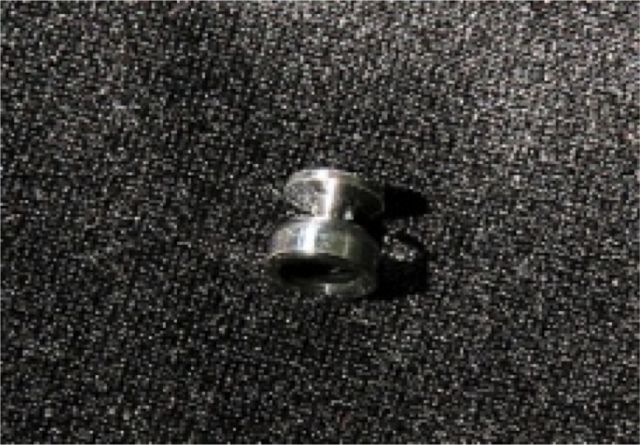 – An abutment (matrix) from titanium coated by titanium nitride. Compatible with multiple systems, it is screwed directly on the implant. · Black processing male in polyethylene used for all the sequence of direct placement or for the laboratory. It does not have any resilience property. · Red nylon male will accommodate a divergent implant up to 20ᵒ (40ᵒ between implants). Extra light retention 1.5lbs. · Orange nylon male for light retention. · This new LOCATOR (gray) zero (0) retention nylon replacement male is a long-term solution for reducing denture retention. Fig 5: Black nylon cope with least retention. (Ref: 25) – Locator core tool [Fig.6]. 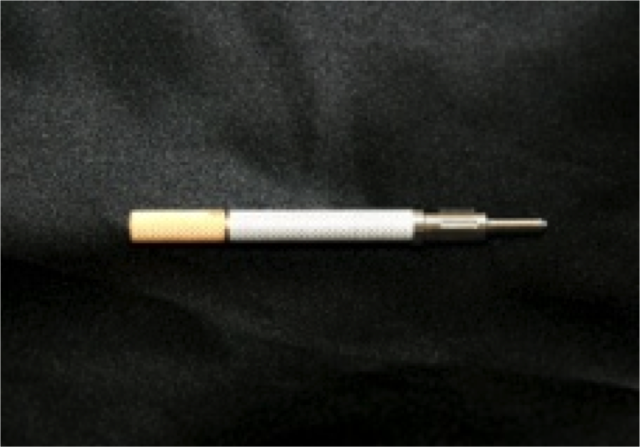 This tool contains: The Male Removal Tool, Male Seating Tool and Gold-Plated Implant Abutment Driver. This tool is required for placement procedure of all Locator Root Attachments and Locator Implant Abutments. – Compatibility with a high number of implant’s systems. 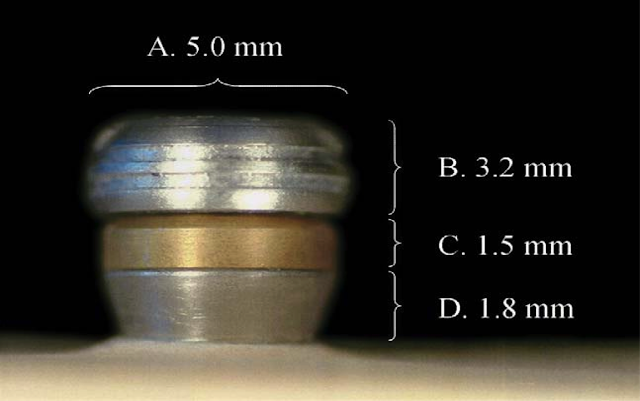 – Low profile: 3.17 mm for external hexagon implant, 2,5 mm for internal connexion21,25(Fig 7). 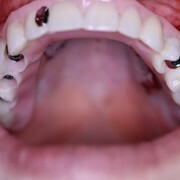 The transmucosal height of the abutment may vary from 1 to 4 mm, 1 to 5 mm, 1 to 6 mm, according to the system of implants used. If the height is chosen precisely, the biomechanical conditions are favorable, thanks to a point of force application close to the platform of the implant. 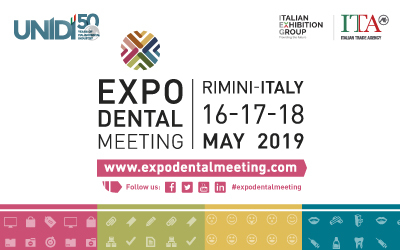 So, it is very important to measure the maximum height existing between the platform of the implant and the mucosal edge to let emerge only 1.5 to 2 mm21. – Dual internal and external retention for conventional male transparent, pink and blue: externally, using an undercut against the periphery of the abutment and internal axial cavity type snap21. A combination of inside and outside retention ensures the longest lasting performance25 (Fig 8). – a non-rigid connection to the implant: the replacement male is in static contact with the abutment, while the titanium cap in the resin of the prosthetic base allows a rotational movement, absorbing then the forces (stresses) without any resulting loss of retention21,25. 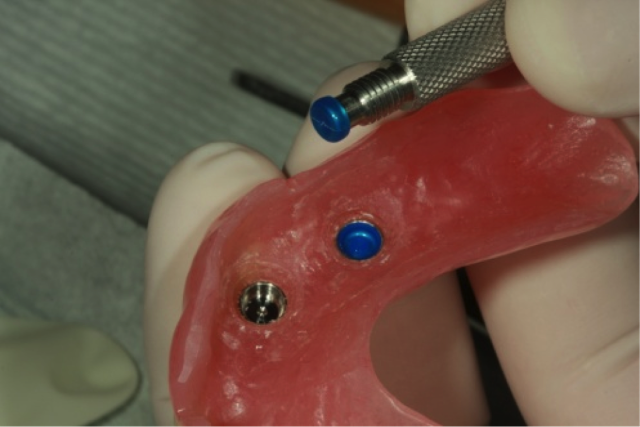 – locating design: self-locating design allows patients to easily seat their overdenture without the need for accurate alignment of the attachment components25 (Fig 8). – Easy solutions for divergence up to 40⁰ 21,25 (Fig 9). 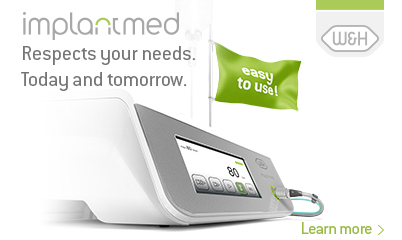 – One single tool with three functions to all clinical and laboratory sequences. Incorporation of the attachment into the denture can be accomplished either chairside or in the laboratory. The advantage of chairside “pick up” is that the attachment can be made in a passive, loaded (ie, bite force) environment to ensure complete seating of the denture on the underlying tissues. 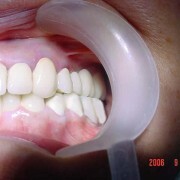 This technique is more demanding but also enables the incorporation of attachments into an existing denture25 (Fig 10 →13). 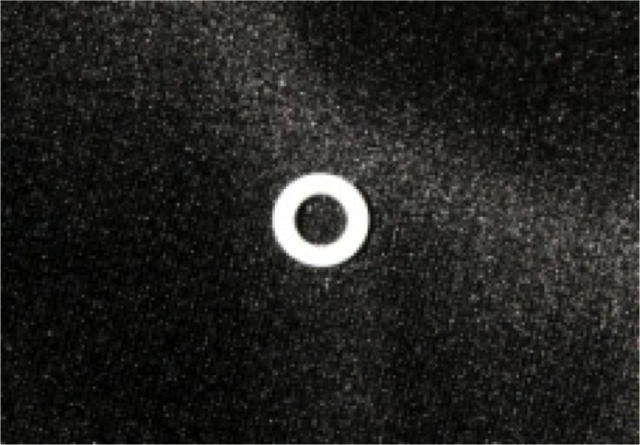 – Blocking out the rings to prevent acrylic material from flowing into undercuts. Special attention must be given to block out any additional undercut areas to prevent “locking into” these areas. – Housings were placed to verify the full seating of the final prosthesis, without interference from attachments or housings. – The final prosthesis is prepared for incorporation of the housings. – “Vent Holes” are placed in the area of the attachments to allow the escape of excess material and prevent complete seating on the tissues. – Viewing of the black processing males, which are tacked in place with acrylic by means of the patient maintaining a medium biting force in centric. Any voids around the housings are filled in extraorally, and black processing males are replaced by final retentive inserts (available in various amounts of retention)25. 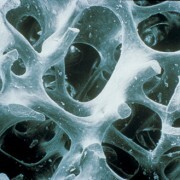 Fig 11: Cold cure resin added in the holes prepared in the intaglio of the final prostheses. Fig 13: Nylon copes seated with the special locator core tool. 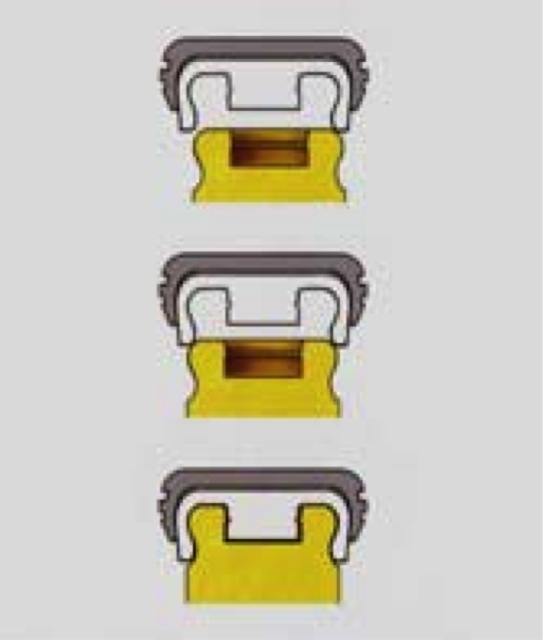 Laboratory attachment incorporation is less technique sensitive but does not take into account the level of muccocompression necessary to ensure full seating on the tissues. 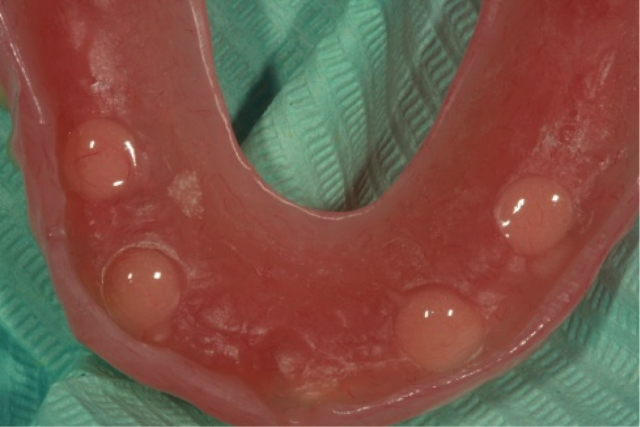 It is recommended with laboratory curing of the attachments that this be accomplished in the base plate prior to processing of the denture at try-in of the wax rim or the set-up appointment to evaluate full seating on the tissues and minimize distortion caused by curing of a bulk of acrylic during processing25. This will allow evaluation and correction of the attachment position prior to the delivery appointment. The most important concerns are blocking out any undercuts that acrylic may flow into, preventing removal of the denture, and ensuring that the prosthesis can fully seat on the tissues without being held up by interference with the attachments24. The only rationale for incorporation of a metal framework or lingual reinforcing bar is to prevent potential fracture of the appliance due to minimal acrylic thickness or excessive occlusal forces25. The down side of this is the additional cost and laboratory procedures involved. In situations of high potential fracture of the appliance, such as the extreme occlusal forces seen in patients with opposing full-arch implant-supported restorations or areas of minimal acrylic bulk, a metal frame will serve to resist flexure and potential fracture. An important consideration for the laboratory is to allow open space in the framework for incorporation of the attachments25. It appears that the attachment system does not influence the success rate of implants. Other factors, such as bone quality and quantity, arch morphology seem to play far more important roles in implant survival rates. Sirmahan in her prospective randomized clinical study on 36 patients from 2004 to 2009, reported that the Locator system showed a higher rate of maintenance than the ball attachments. There were no complications with postinsertion maintenance or implants, no problem of retention associated with the Locator system in comparison to ball and bar designs. Locator attachment was found more advantageous to ball and bar system regarding the rate of complications in clinical practice23. The Locator attachments appear to function reasonably well, but lack long-term evaluation29. 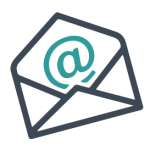 A long-term evaluation may provide useful guidelines for the clinician in selecting the type of attachment system and overdenture design9. 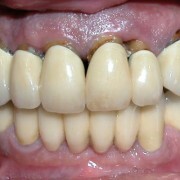 It has been reported that attachment adjustment is the most frequent complication in implant overdenture30. 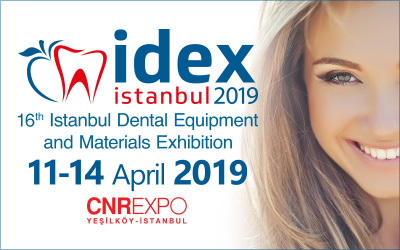 Locator attachments provide significantly higher retention and stability of implant-supported overdentures compared to the Nobel Biocare Ball connectors31. Retentive values of the Locator attachments are reduced significantly after multiple pulls19. Abi-Nader et al26 reported that while simulated mastication resulted in minor changes for the ball attachment, it reduced the retention of Locator attachments to 40% of baseline values with a non-linear descending curve. The nylon capsules were strongly affected26. Kleis et al agreed that the self-aligning attachment system showed a higher rate of maintenance than the ball attachments29. In addition, a reduction in the retentive force has been noticed when implant angulations is increased from 0 degrees to 30degrees27 with a premature wear of the metal components and an increased maintenance32. One of the complications in ensuring resilient attachments is that denture rotation can occur. Denture rotation may cause entry of food particles under the dentures and difficulty in chewing, particularly when food is chewed on anterior teeth. This could compromise the quality of life of patients with mandibular implant overdentures28. 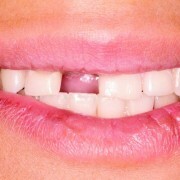 The location of the mandibular anterior denture teeth is a major factor in rotation movement28. With every millimeter of teeth placed anteriorly, there is a 1.5 times greater likelihood that the overdenture will rotate28. 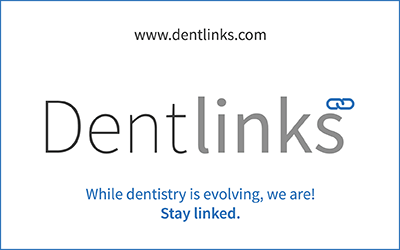 Kimoto 28 found that a longer denture is likely to decrease the risk of overdenture rotation. Patients seem to be more satisfied with implant–retained overdentures than with conventional complete dentures. Locator attachments are found to be more advantageous than ball and bar systems regarding the rate of complications in clinical practice. They are resilient, retentive, durable, and have some built-in angulation com­pensation. In addition, repair and replacement are fast and easy. The Locator attachments appear to function reasonably well, but long-term evaluation is needed. 1- Batenburg R. H. K., Meijer H., Raghoebar G, Vissink A. Treatment concept for mandibular overdentures supported by endosseous implants: A literature review. Oral maxillofac Implants 1998; 13:539-545. 4- Vercruyssen M. Long-term, retrospective evaluation (implant and patient-centred outcome) of the two-implants-supported overdenture in the mandible. Part 1: survival rate. Clin. Oral Impl. Res. 21, 2010 / 357–365. 5- Pasciuta M, Grossmann Y, Finger I. A prosthetic solution to restoring the edentulous mandibule with limited interarch using an implant-tissue-supported overdenture: a clinical report. J Prosthet Dent 2005; 93:116-20. 6- Lee C K., Agar J R. Surgical and prosthetic planning for a two-implant–retained mandibular overdenture: A clinical report. J Prosthet Dent 2006;95:102-5. 7- Hobkirk J. Prosthetic treatment time and satisfaction of edentulous patients treated with conventional or implant-supported complete mandibular dentures: a case-control sudy (part1). 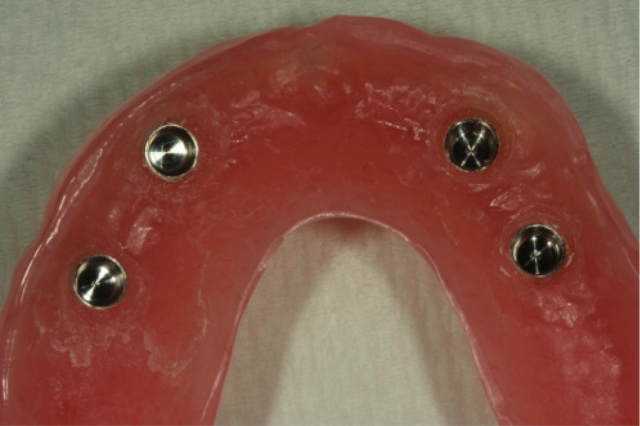 Int J Prosthodont 2008;21: 489-495.
with Ball, Magnet, or Bar Attachments: Comparison of Load Transfer and Denture Stability. Int J Prosthodont 2003;16:128–134. 9- Andreiotelli M, Att W, Strub J.R. Prosthodontic Complications with Implant Overdentures: A Systematic Literature Review. Int J Prosthodont 2010;23:195–203. 12- Cheng A C. Prosthodontic management of edentulous patient with limited oral access using implant-supported prostheses: a clinical report. 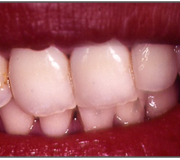 J Prosthet Dent 2006;96:1-6. 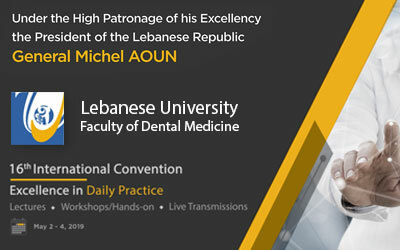 13- Alsabeeha N. Attachment Systems for Mandibular Single-Implant Overdentures: An In Vitro Retention Force Investigation on Different Designs. Int J Prosthodont 2010;23:160–166. 15- Rentsch-Kollar A. Mandibular Implant Overdentures Followed for Over 10 Years: Patient Compliance and Prosthetic Maintenance. Int J Prosthodont 2010;23:91–98. 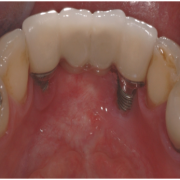 16- Cune M. Mandibular Overdentures Retained by Two Implants: 10-Year Results from a Crossover Clinical Trial Comparing Ball-Socket and Bar-Clip Attachments. Int J Prosthodont 2010;23:310–317. 17- Sunyoung Ma. Marginal Bone Loss with Mandibular Two-Implant Overdentures Using Different Loading Protocols: A Systematic Literature Review. Int J Prosthodont 2010;23:117–126. 18- Chung K-H. 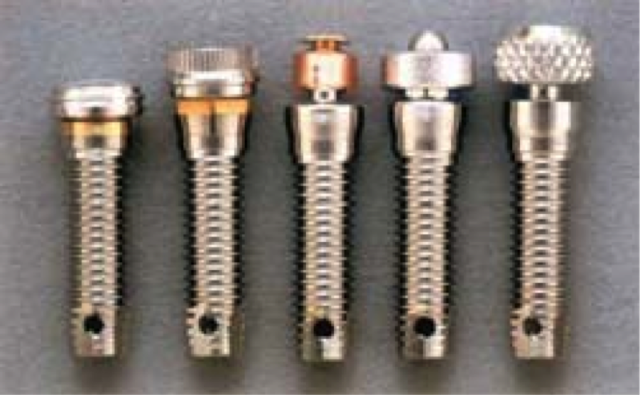 Retention Characteristics of Attachment Systems for Implant Overdentures. J Prosthodont 2004;13:221-226. 20- Sadowsky S. Treatment considerations for maxillary implant overdentures: a systematic review. J Prosthet Dent 2007; 97: 340-348. 21- Schittly J, Russe P., Hafian H. Prothese amovibles stabilisees sur implants. Indications et modes d’utilisation de l’attachement Locator®. Les cahiers de prothese juin 2008 ; 142 :33-46. 22- Mericske-Stern R. Prosthetic considerations. Australian Dental Journal 2008; 53:49-59. 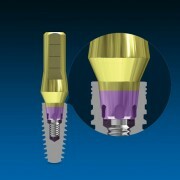 23- Cakarer S. Complications associated with the ball, bar and Locator attachments for implant-supported overdentures. Med Oral Patol Oral Cir Bucal. 2011 Nov 1;16 (7):e953-9. 24- Engquist B. Advanced Osseointegration Surgery – Quintessenz Verlag, Berlin Overdentures. Chapter19 p233-247. 26- Abi Nader S, De Souzan R.F, Fortin D, De Koninck L, Fromentin O, Albuquerque Junior RF., Effect of simulated masticatory loading on the retention of stud attachments for implant overdentures. J Oral Rehabil., 2011 Mar;. 38(3): p. 157-64. 27- Gulizio MP, Agar.J, Kelly JR, Taylor TD., Effect of implant angulation upon retention of overdenture attachments. J Prosthodont 2005 Mar;. 14(1): p. 3-11. 29- Kleis W. K. , Kämmerer P.W, Hartmann S, Al-Nawas B , Wagner W, A Comparison of Three Different Attachment Systems for Mandibular Two-Implant Overdentures: One-Year Report. Clin Implant Dent Relat Res., 2010. 12( 3): p. 209-218. 30- Goodacre CJ, Bernal .G, Rungcharassaeng K, Kan JY., Clinical complications with implants and implant prostheses. J Prosthet Dent., 2003;. 90:: p. 121-132. 31- Sadig W., A comparative in vitro study on the retention and stability of implant-supported overdentures. Quintessence Int, 2009 Apr;. 40(4): p. 313-9. 32- Ortegón SM, T.G., Agar JR, Taylor TD, Perdikis D., Retention forces of spherical attachments as a function of implant and matrix angulation in mandibular overdentures: an in vitro study. J Prosthet Dent. , 2009 Apr;. 101(4): p. 231-8. A review of the literature supporting the McGill and York consensus statements. 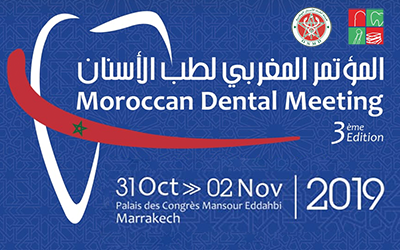 Journal of dentistry 40 ( 2012 ) 22 – 34. 4 Should Bio-Oss Be Used as an Onlay Bone Substitute?